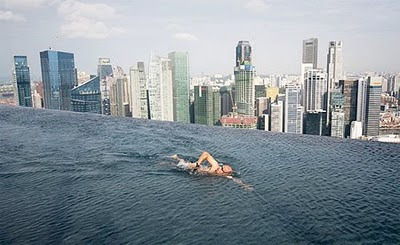 Apparently this a pool on top of a Casino in Singapore. That's a pretty sick pool. Wonder what happens in an earthquake?